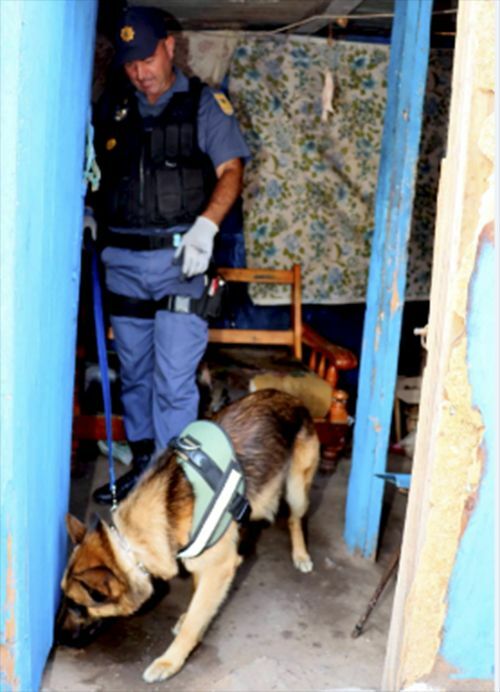 ​A Port Elizabeth K9 unit sergeant and his dog who arrested 100 suspects in a year and the police members who tracked down the killers involved in the massacre of their colleagues at Ngcobo have been honoured with national awards. In total, the Eastern Cape took seven awards, while the deadly attack on the Ngcobo police station in February 2018 saw the national commissioner’s special award go to the Special Task Force, Eastern Cape National Intervention Unit as well as the police station staff for assisting in tracking down the perpetrators. The special award came after a gang opened fire inside the Ngcobo police station during a robbery and five officers and a retired soldier died. Days later, seven suspects were shot dead and 10 arrested in a shootout after they were cornered inside the Mancoba Seven Angels Ministry. K9 unit Sergeant Adriaan Oosthuizen and his dog Max won the non-commissioned visible policing category at the awards ceremony in Mpumalanga on Friday, 25 January 2019. 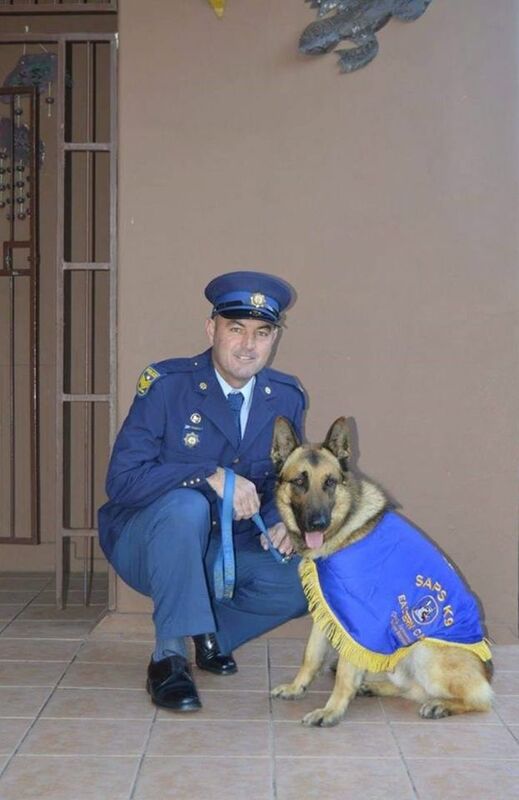 Oosthuizen, who also won the Eastern Cape title in 2018, won for his dedication and passion for policing along with his partner, Max, a three-year-old German shepherd patrol and explosive detection dog. Max is able to sniff out hidden firearms buried either underground or hidden inside houses and cars during raids. Prior to his move, Oosthuizen worked at the Kabega Park police station for 11 years. Between April 2017 and April 2018, the duo arrested 69 people, most of whom were caught red-handed while committing various crimes. A further 31 were arrested after crimes were committed. The arrests include a shootout in December 2017 when three tobacco truck hijackers were caught red-handed. The previous month, Oosthuizen had another shoot-out with hijackers in New Brighton, leading to two arrests and in the same month there was a further shootout and the arrest of hijackers in Stanford Road. According to Oosthuizen, during the year-long period the team recovered 35 stolen and hijacked vehicles as well six stolen firearms across the Bay. Oosthuizen was also involved in three outreach programmes to educate residents and schoolchildren on what the K9 Unit does. The team has also been involved with the recent clampdown on gangsters in Port Elizabeth’s northern areas. Oosthuizen said he had treated Max to a large steak over the weekend. Provincial commissioner Lieutenant-General Liziwe Ntshinga said the awards showed the Eastern Cape had some of the most dedicated police officials in the country. Other awards taken by the Eastern Cape include administrator of the year and administrator team of the year, visible policing team of the year, crime intelligence team and sportsperson of the year with disability overall winner.